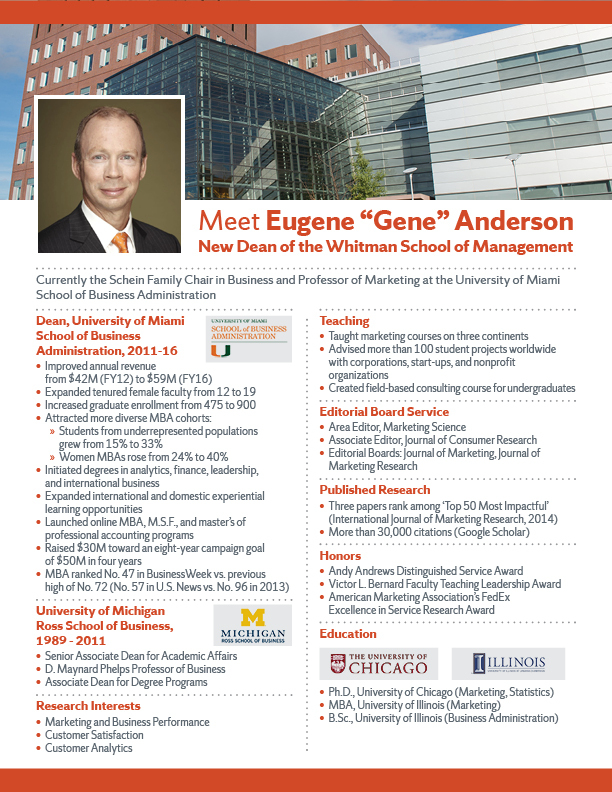 Join the SU Alumni Association and the Whitman School of Management in welcoming the newest Dean, Eugene “Gene” Anderson, to the New York Metropolitan region. A results-driven, accomplished business education leader with a record of innovating new programs, increasing graduate student enrollment and building a diversely talented team of faculty joined Syracuse University on July 1 of this year. Join us for a special opportunity to discuss with Dean Anderson the future of Whitman and current initiatives of the school. $10 per person includes light fare, drinks and the program.